I should warn you, dear reader, that this article reads in a different tone than what you may be used to. I am rattling a few cages, on purpose, and I am aware of the depth of debate that may arise from this. Perhaps you may not like this, but as it is in fencing, sometimes a provocation is what it takes to set things in motion. In this instance, hopefully towards a good outcome. But before getting into the subject, I will elevate this post from the realms of mere ranting by teaching you Bolognese swordsmanship. All of it. In less than five hundred words. Imagine yourself facing your adversary, swords in hand. Note if your opponent is right or left-handed, and for the sake of this exercise we will assume he is right-handed. Now visually divide him into four quadrants and take note of which quadrant his arm is pointing, for that is the quadrant his weapon occupies. It will tell you where his attacks will come from and where he expects you to direct yours. Then take note whether he has his point forwards or backwards. This will tell you how to approach and whether to worry about his point or his edge when you do so. Also notice which foot he has in front, as this will tell you how he will move when he attacks or when he defends. If his sword extends towards you, then deal with his sword or sword-hand before doing any action against his body. Now realize how all of your cuts and thrusts derive from the same attributes. Thrusts remain point in line and travel from quadrant to another through extension while cuts alternate between in- and off-line. Should he attack you will always defend primarily with your cuts, but you can also parry with the false edge of your sword, or if you see a place, you can parry by pointing your sword to him while covering yourself with the edge. Each strike can be parried with the true edge or with the false edge. In almost every case the various parries allow for riposting either with the edge or with the point. There is no strict rule, your will and your experience will decide for you. Every defense needs three things: an avoidance, a parry and the wounding of the adversary. In other words: a step, a guard and a strike. Should he feint, defend again. Should he go for your blade, don’t let him catch it. Should he go for a target that you have failed to protect with the sword, avoid by movement. Never let him attack unless you want to. Should he lure you to attack, give him what he wants but lie to him by feinting and wound him elsewhere. Do not let him attack freely but rather drive him back or, if you want to, invite him to attack by setting him a trap. If you fail your initial design, either retreat, cross swords with him or press in with a grapple and throw him to the ground. There you have it. Bolognese swordsmanship in a nutshell. But less than five hundred words! What is it that the sources go on about for page after page? What else is there to learn? Now I’ll try to keep this short. This is where we enter dangerous grounds. I would argue that the above is enough to teach you how to fight with a sword and enough to create a system of fencing or fighting, if you allow yourself just a few bits of extrapolation. For example, each *specific *technique would need to be extrapolated. But with enough experience, yes you could become proficient. Still, with the amount of material we now have on the Bolognese tradition you would never reach proficiency in Bolognese fencing. 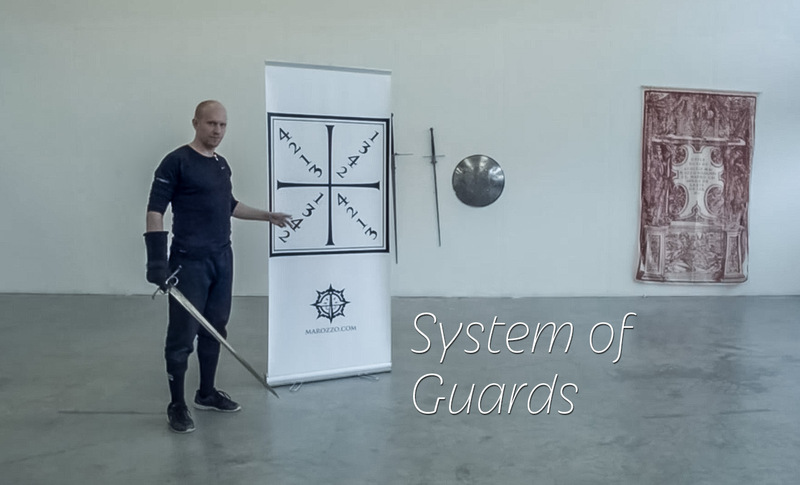 If you wish to learn Bolognese fencing, you need to understand their terminology, their concepts, their methods of training and memorize and apply the examples they give. Otherwise it can be swordfighting, but it will not be Bolognese. Let’s take this further. Did you know that a great majority of the most famous Bolognese fencing source, the Opera Nova of Achille Marozzo, is largely composed in assalti. Forms. In order to call yourself a Bolognese swordsman, shouldn’t you know these forms? All of them? Yes, you should. From a description of a hundred techniques you can skip a few every now and then without much damage but the assalti are too big of a thing to ignore. But to ease things a bit, if you train in a club of Bolognese swordsmanship, maybe you don’t need to learn the assalti. Perhaps the same material is taught to you in a more “practical” way — and this is fine. But look around you. Does anyone know the assalti? Is there anyone who could do the assalto of Achille Marozzo for the weapon being practiced? If the answer is no, then I will have to ask you to consider the validity of the instruction you are receiving. Even if based on the text, the techniques are not the same unless based on a close reading of the assalti and the dedicated practice of them. Now if you are an instructor of Bolognese swordsmanship reading this, make a mental note of how much of the assalti do you know. And if you don’t know them, start preparing opportunities to learn. I have my shortcomings in this regard. My focus is largely on the side sword, so now there aresome holes in my knowledge of the assalti of some other Bolognese weapons and weapon combinations. I also don’t teach the forms to all of my students, but this is largely due to teaching the forms being difficult in a mixed-level group lesson. But I am really trying and every day I learn more from Marozzo, and pass on this knowledge to my students who, one day, will know all the assalti too. So now it A Bolognese swordsman, especially an instructor needs to learn the assalti. Otherwise it is simply not Bolognese. The impact of these forms is that great. Challenge yourself. Let me help you with the forms if you need any assistance, but if this is your thing, start learning them now. Will the assalti make you a better swordfighter? Maybe. I honestly don’t know. They seem to help me, but of course there are other paths to mastering the art of fencing. But specifically Bolognese? It is not in the four quadrants nor the movements of the sword in between them. Not in the names of the cuts or the names of the guards. No, it is in the forms and hundreds of examples provided. In their close study and understanding, where Bolognese fencing is born.